How I found it: I saw the film, Being Caribou at the Best of the Banff Mountain Film Festival in Vancouver in early 2005 and loved it. I knew that Heuer was writing a book so I ordered it from the library when it came out. What's it about? : Heuer and his wife spend their honeymoon being caribou. They migrate with the endangered Porcupine caribou herd to their calving grounds in Alaska and then back to the Yukon. They made this trip because Bush's government wants to allow drilling in the herd's calving grounds, which would likely lead to the end of the herd. Heuer and Allison wanted to raise awareness, and also to find out what the migration was like since there was little scientific documentation of how it happens, which routes they take and how the caribou decide the time is right to make the migration. Did I like it? : Oh yes. I love adventure travel books and the idea of spending five months in the wilderness for an environmental cause you believe strongly in appealed to me. It's a really compelling story, and at times a real struggle for Heuer and Allison. However, in most cases the book is always better than the film. Not here though. Heuer writes competently, and I can't fault him for trying, but after seeing the incredible scenes of the caribou on film, a written description often doesn't cut it. As well, the film features video diaries from both Heuer and Allison so the book doesn't add much in that department either. Will you like it? : If you read the book first, you'll like it. If you see the film and you want more, you'll like it. But if you aren't totally wowed and inspired by the film, the book isn't for you. Although this is a book review, I recommend the film much more than I recommend the book. 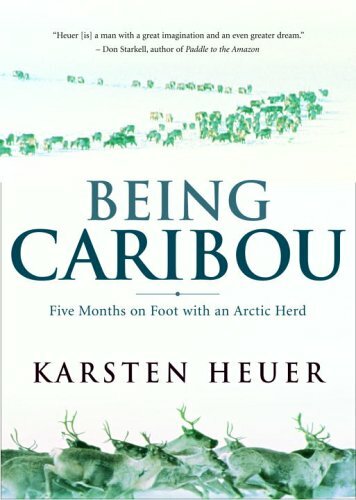 But don't take my word for it: Real people reviews, editorial reviews, and a collection of positive criticism of the book from the official Being Caribou website. How I found it: It was recommended by a poster in a book review thread on Clubtread.com, a Vancouver hiking forum. What's it about? : The autobiography of a woman who is attacked by a grizzly bear near Waterton Lakes in southwestern Alberta and survives. The book is more about her struggle to fight infection, facial disfigurement and depression in the years following the attack than it is about the attack itself. Did I like it? : No. It scared the crap out of me. I am already scared of bears and of debilitating depression so this was not the book for me. I did finish it though it was painful. I kept waiting to see if there was a happy ending; to see if she would rise out of her depression and come to terms with her changed appearance. At the end of the book it seemed as if she had pushed past the depression and was getting on with her life. Then I turned the page and found that some earlier reader had glued in a photocopied newspaper article to the back page of the book. The article was Van Tighem's obituary from 2005. It seems suicide won out in the end and that her husband, who tried so hard to be supportive during the course of the book, ended up divorcing her finally. No happy endings here unfortunately. Will you like it? : I don't think so, unless you are a masochist. In some ways the book reads a bit like those "Real life tragedy" stories that Readers Digest used to run... like a car wreck you can't look away. If this is your thing, you might like this, but otherwise I think this book will just scare you and make you sad. But don't take my word for it: Real people reviews, editorial reviews, and a Q and A with the author. How I Found it: I really don't remember. I probably stumbled across the title while randomly browsing the Halifax library site or Amazon.ca. What's it about? : A story of an immigrant child growing up trapped between Canadian society and her Chinese heritage. Like the child protagonists in Wayson Choy's The Jade Peony and Denise Chong's The Concubine's Children (both of which are excellent and recommended) the protagonist here, little Su-Jen/Annie, carries around a lot of family secrets for such a small child. Unlike those novels, however, Bates' book is set in a small town in rural Ontario, not in the big bustling Chinatowns of Vancouver or Toronto. Did I like it? : Well, it made me cry a little bit, which is usually a good sign, and I was upset when it was over as I wanted to read more, so I'd say I liked it a lot. Little Su-Jen/Annie is a very compelling character and her struggle to belong in white society while meeting the expectations of her Chinese parents is very touching. 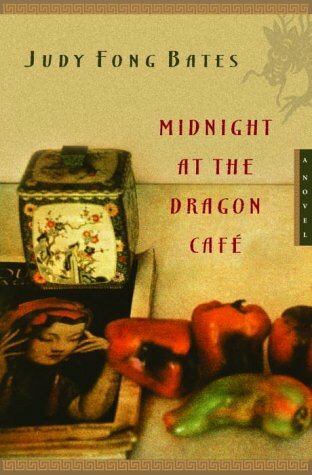 I had never heard of Judy Fong Bates before this, but I now I will seek out her short story collection, China Dog and Other Stories, since I really enjoyed her writing style. Will you like it? : It's a bit of a woman's book, as much as I hate that distinction. Women will love the story... it is book club worthy. It is a good fast read with lots of heart. Every Canadian should read this book, or something like it to understand the immigrant experience first hand since the story could be re-told using immigrants of a variety of cultural backgrounds. But don't take my word for it: Editorial and real people reviews. How I found it: Amazon.ca has this service where they give you a page of recommendations based on what you have already bought from them. Since I had bought The Golden Spruce (which was fabulous; I read it in London), it told me I would like this book. What's it about? : A poet from Sooke, BC is interested in a Buddhist monk from the 400s who may have reached North America far ahead of Columbus. Most academics completely dismiss this theory for various reasons, but Geddes wanted to believe it was true. Little is known of the monk, named Huishen, so Geddes sets out to repeat his route from Kabul in Afghanistan to Chiapas in Mexico. He does this beginning in 2001 so he runs into some 9/11 stuff as well. Did I like it? : While it sounds like a fascinating idea for a book, I actually didn't like this book that much and was eager to finish it so that I could get on to the stack of library books I had waiting. 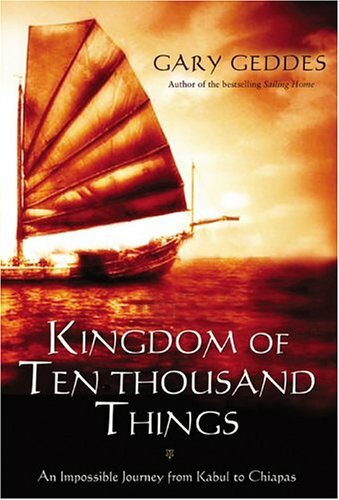 Since no one knows that much about Huishen, and Geddes didn't really find out anything more about him, the book is really not so much about Huishen but about Geddes, a middle-aged white man, traveling through Asia. Not the most compelling stuff since Geddes' life isn't really that interesting and I didn't identify with him. It seems like Geddes pitched the idea to his publisher, was advanced the money, and then came home with not much to make into a book, but had to write one anyway since he was under contract. Will you like it? : Doubtful. The premise is an interesting one, but it really doesn't deliver. As far as travel books go, I've read much better ones. The 9/11 connection is interesting, but it is ultimately overplayed since the connection is rather tenuous in the end (Geddes leaves Afghanistan mere days before 9/11 and encounters the Taliban during his visit). The worst part of the book is the sections where Geddes writes poetry from Huishen's point of view that he claims comes to him in a dream. While this technique can be quite successful sometimes (see Atwood's Susanna Moodie poems), here is just comes off as cheesy. As well, Geddes poetic style comes into the book a bit too often, making it actually unpleasant to read at times. But don't take my word for it: Some editorial reviews and some real people reviews. 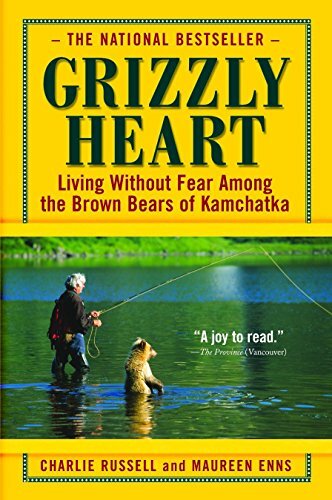 The Basics: Grizzly Heart: Living Without Fear Among the Brown Bears of Kamchatka, Charlie Russell and Maureen Enns, 2003, 357 pages, paperback, Cloudline.org (Russell and Enns' bear project website). How I found it: It was recommended in a book review by a poster on the Vancouver hiking forum Clubtread. What's it about? : Russell and his partner travel to Kamchatka (in Eastern Russia near the Bering Sea) to live among Grizzly bears and to test their controversial theory that man and grizzlies can co-exist without fear of each other. Despite his lack of scientific credentials, Russell ends up adopting and raising orphaned cubs and successfully releasing them back into the wild. Did I like it? : Definitely. I had seen Werner Herzog's documentary Grizzly Man about Timothy Treadwell, a man who attempted to live among grizzlies in Alaska and was ultimately eaten. Grizzly Heart is a nice counter-balance to that story. Russell's theories on human-bear coexistence seem much more rational and though-out than those of Treadwell, although they are still quite unconventional. (For example, he recommends feeding bears after they come out of the den as a way to keep them from seeking food from garbage dumps, etc.) Russell is by no means an experienced or talented author, but he gets his story across well. Will you like it? : I think so. Again, it reads like a novel if you require plot. It is a bit unfinished in its ending, but that is merely because Russell was not finished his study when he stopped writing the book. As well, it has some great bear photography and some really cute stories about the bear cubs. (If you are interested in bear photography, Russell's and Enns have also put out a book of photographs taken during their study called Grizzly Seasons.) Even if you are not interested in the bears, it is an interesting adventure and survival story. But don't take my word for it: Some real people reviews and editorial reviews. 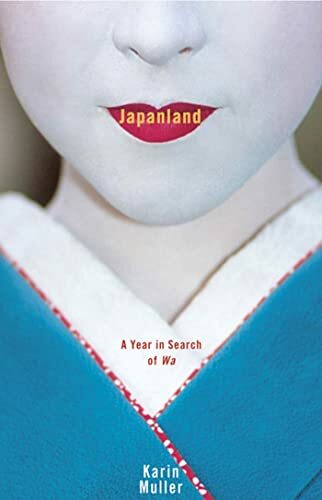 The Basics: Japanland: A Year in Search of Wa, Karin Muller, 2005, 307 pages, hardcover, a documentary of the same name aired on American Public TV in late 2005 - I can't find it on the internet for sale or for viewing :(. How I found it: Random browsing in the new non-fiction section at the Halifax Public Library. The cover called to me because I had recently watched Memoirs of a Geisha, and I have had a fascination with Japan and Japanese culture for years. What's it about? : A woman in her mid-thirties moves to Japan for a year to "find herself", immerse herself in Japanese culture, and make a documentary film. She lives with a Japanese host family, and attempts to learn the Japanese language and mannerisms while taking part in or observing 'traditional' Japanese cultural activities. "Wa" is harmony: harmony with oneself, harmony in relations with others, etc. and this is what Muller seeks. Did I like it? : Oh yes! This is the best travel book I have read in a long time. It is a Westerner's honest reaction to another culture; Muller puts enough of herself and her thoughts and feelings into the book to make it read almost like a novel at times. Perhaps that is why I liked it so much. As well, it manages to show the unique ways in which traditional and modern Japan are juxtaposed in behaviour and culture. I also learned a multitude of new things about Japanese culture from this book, which was something I did not expect. Would you like it? : Yes. You should read this book. Muller writes well and from the heart. The book has a plot, if that is something you require, and it also has lots of fascinating tidbits about Japanese culture presented in an interesting manner. If you've read Liza Dalby's Geisha, it's a bit like that: Muller tries to fit into an alien culture, but unlike Dalby, she does not fare so well. Her failures make this book fabulous as they are the heart of her story. But don't' take my word for it: Some editorial reviews. A review from someone's blog and one from a travel book review site. How I found it: I had seen it in the Nova Scotia section of Chapters here and then I went to the Halifax Public Library and saw it on display in their new non-fiction section so I picked it up. What's it about? : A biography about a man from northern Nova Scotia who deserted the military by jumping off a troop train heading that was taking him and other soldiers to serve in WWII. 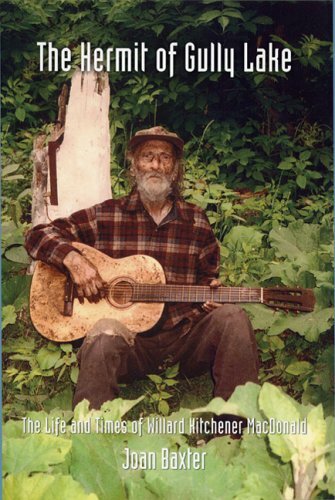 He lived the rest of his life in a hut next to Gully Lake in the northern Nova Scotia wilderness. He was a hermit, but he was not completely cut off from the outside world. He lived mostly in the bush until his death at 87 years old in late 2003 or early 2004. Did I like it? : Yes! There wasn't a lot of info about him to work with, but the author does a great job anyway. She really makes the reader understand the hermit, how he lived, and why he might have chosen to live that way. I liked the idea of someone spending their whole adult life camping out. Would you like it? : I think so. Even if you are not interested in the outdoors, if it still interesting from an anthropological perspective since the hermit lived in his own little culture. As well, it is an interesting biography. It is not the best biography I've ever read, but it is definitely the most unique. Plus it's a small book so it won't take you long to get through it. But don't take my word for it: Well, you might have to as Amazon doesn't have any reviews for this one. Here is the press page for the publisher and a Wikipedia article about him as these are all the only relevant sites I can find.